Do countries share immigration information with other countries? For example If someone that Was denied a visa from like Canada or UK and then tried to come to the US, will the US know about the visa refusals as soon as they take fingerprint? What countries share the same immigration info?? 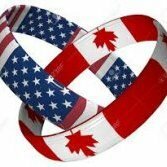 US, Canada and the UK are known to openly share criminal/border/immigration info with each other. Whether or not it would affect a US visa approval/being admitted entry is another matter.